Get everyone on the dance floor with The Freeze Pops! 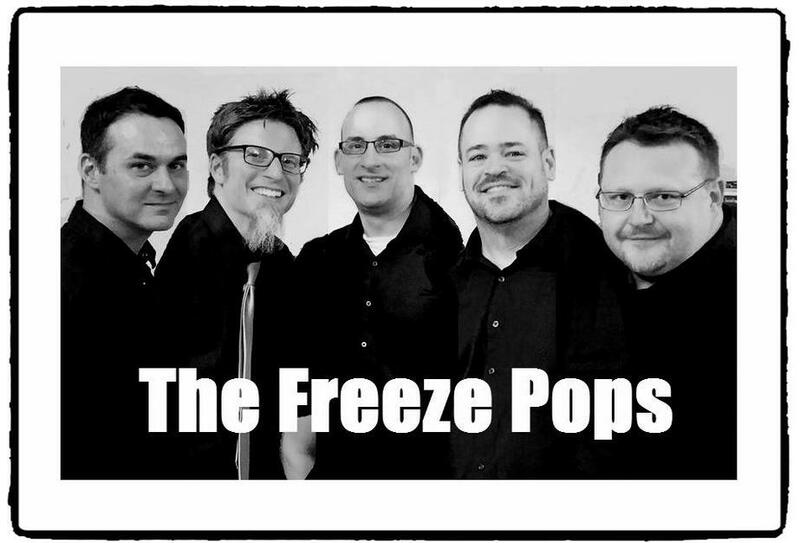 One of the hottest bands in the area, The Freeze Pops generates energy and excitement everywhere they perform. 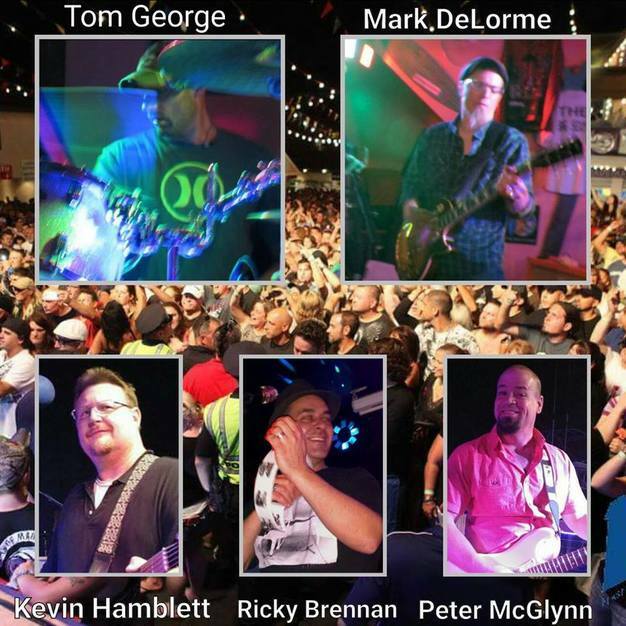 This dynamic band is comprised of four to five very talented musicians who have been performing with each other for almost 20 years. 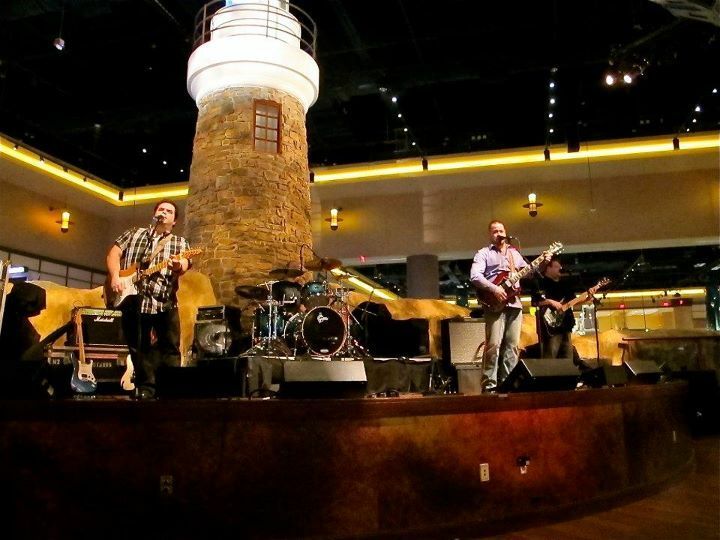 Their genre consists of just about everything ranging from country, rock, R&B, funk, and Top 40. -- The Freeze Pops do it all ! 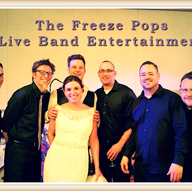 The Freeze Pops specializes in weddings and large corporate and social events. They will work with you well before your event date to understand your preferences and plan just the right music for your celebration. 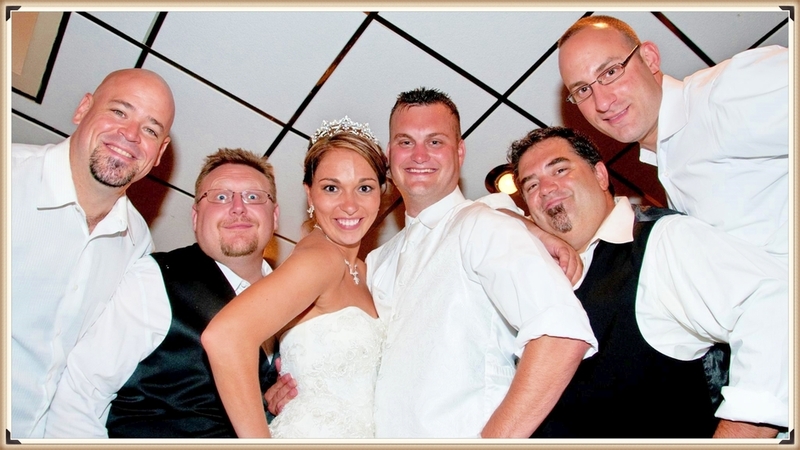 Live Band Entertainment, DJ Sevices, Up Lighting, references for photographers and videographers. Photo booths. Professional and affordable entertainment in one package! 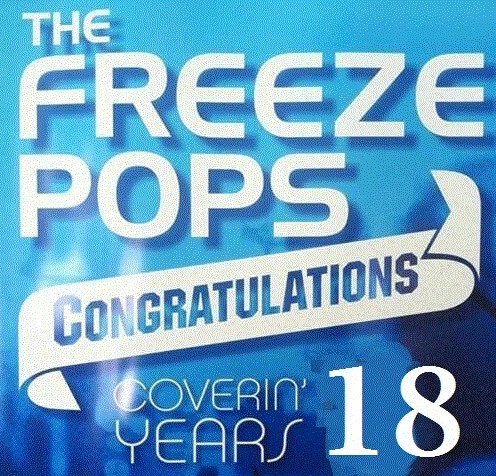 Established in 1998, The Freeze Pops have always entertained with one goal in mind, and that is when its time to party its time to forget about the hardships in life for a little while. Cheers to celebrating life ! Whether it is your wedding, birthday, anniversary, or just a back yard block party The Freeze Pops can make any celebration a day to remember. They bring everything to the table. 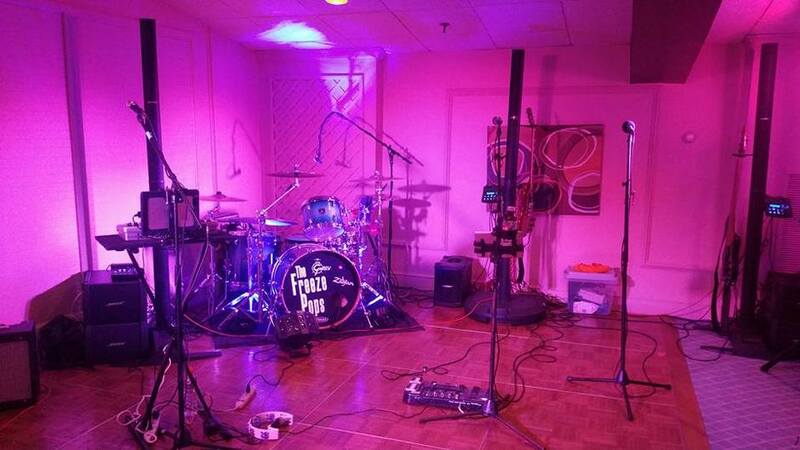 Offering crowd participation, stage lighting, uplighting, and professional DJ Entertainment along with every show. The music doesn't stop at any point. Known for their longer energizing sets, The Freeze Pops keep the party going as long as you need them to. Up To 6 hours including both Live Band and DJ Service! 1 Hour of Cocktail Music in Separate Location but on site. 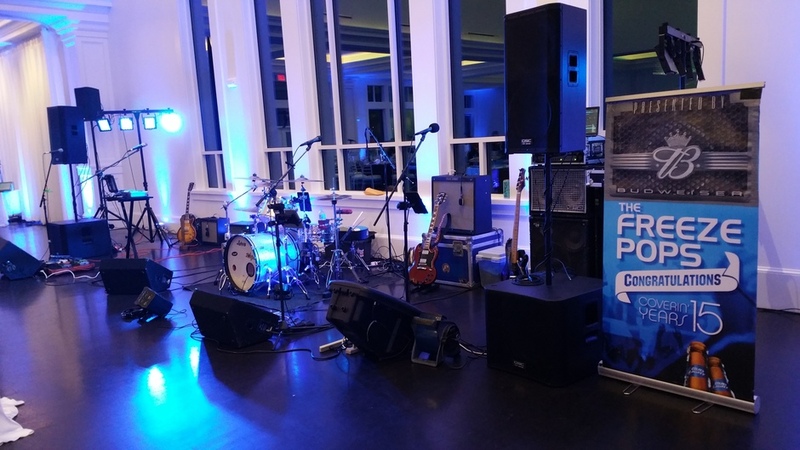 Up To 5 hours of Music Including Live Band and DJ Service! 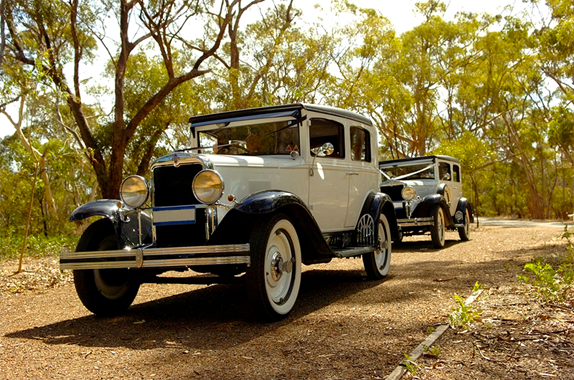 Back Yard Parties or Company Functions. 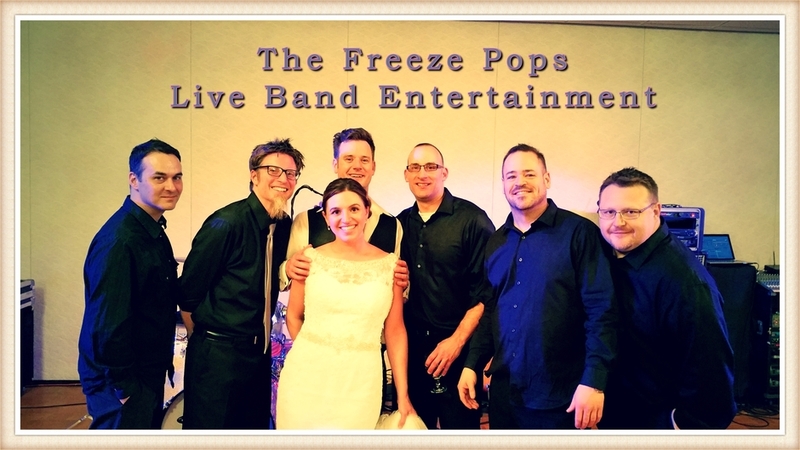 The Freeze Pops were the PERFECT wedding band. 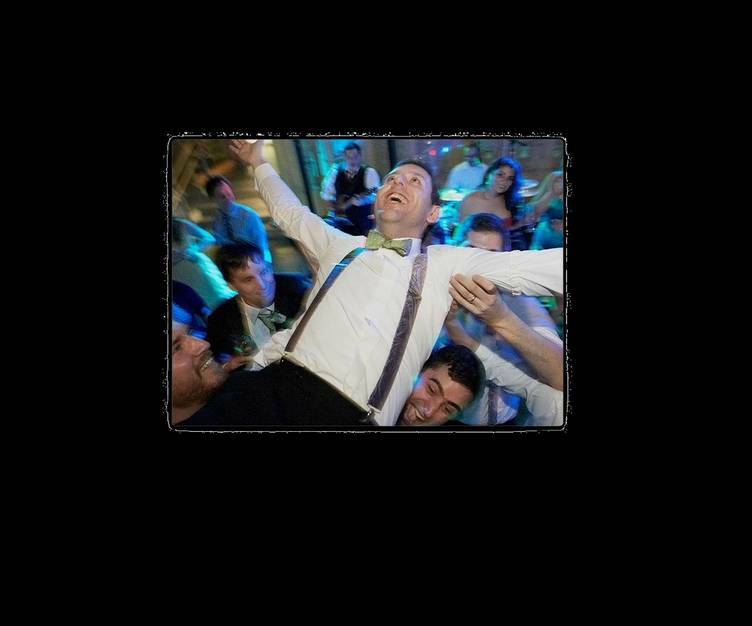 They seamlessly provided a perfect mix of professionalism and fun. We could not have asked for a better experience. They went out of their way to make our day extremely special. Kevin acted as the MC during our entrance and throughout dinner. Then the entire band joined him to help make our night incredibly memorable as they played all our favorite songs. 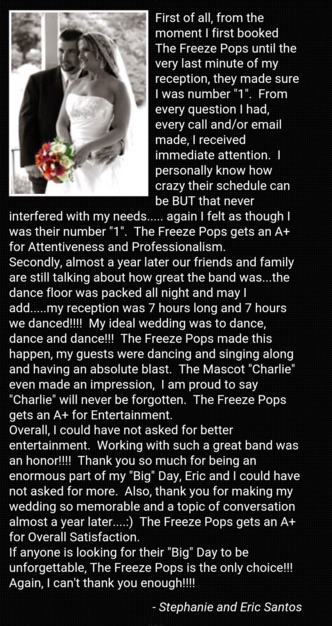 If you want your guest to have the time of their lives at your wedding or any event then the Freeze Pops are the way to go. Even people that are not dancers can't stay seated. 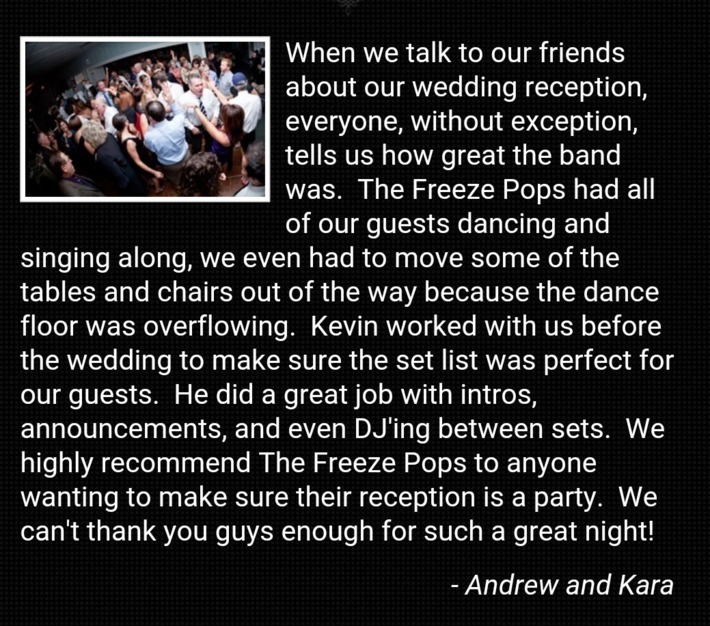 The Freezer Pops performed at our wedding reception and kept the dance floor full for four hours straight. 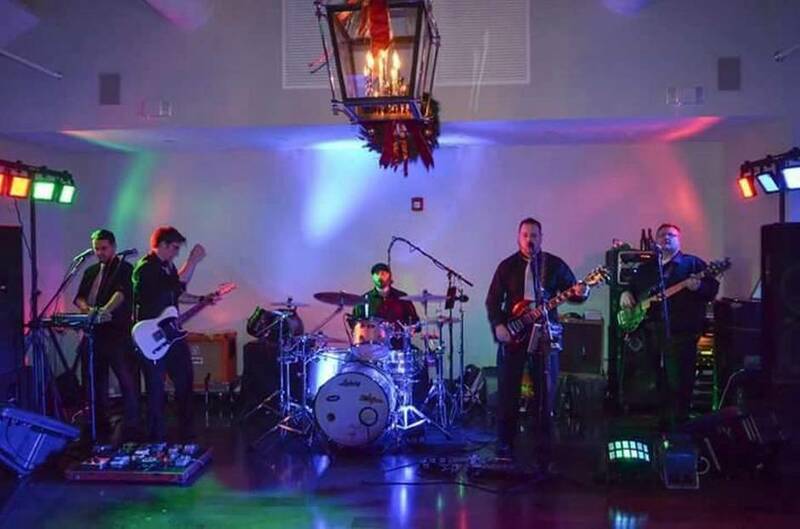 My sister-in-law loved them so much she just had them play at her Wedding reception in October 2015. All the members of the band are extremely talented and all very professional. 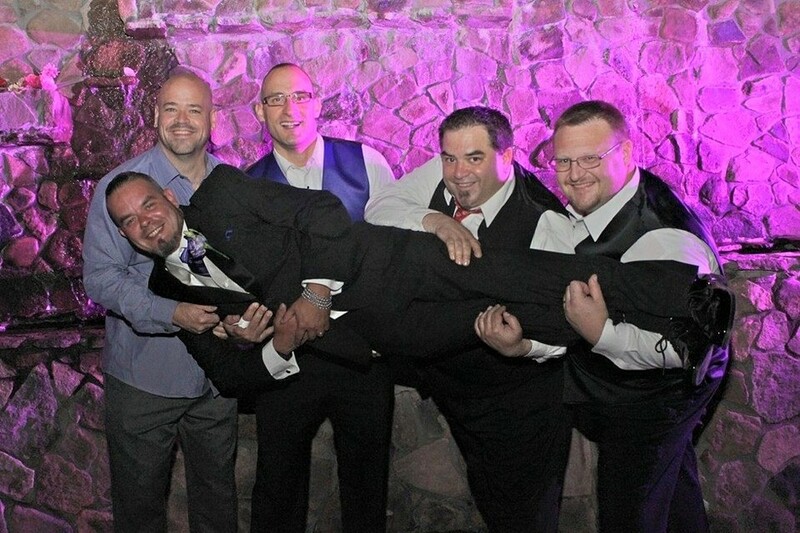 We still get compliments on how fantastic the band was and how much fun people had at our reception!!! 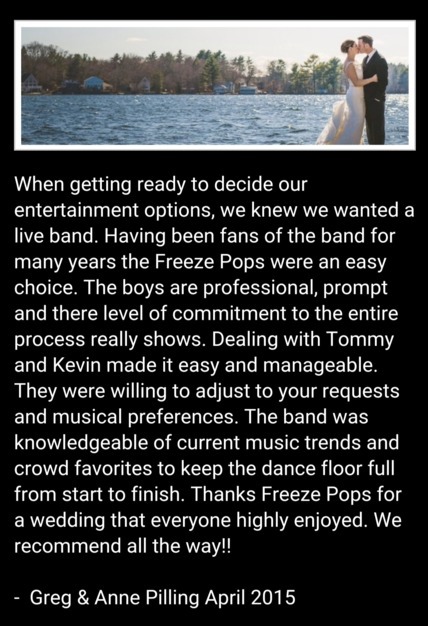 If you want a band to play at your wedding then you want the FREEZE POPS. The Freeze Pop's made it their mission to provide my (now) husband and myself with the perfect wedding day. From the very start Kevin was responsive, easy to talk to and very accommodating. 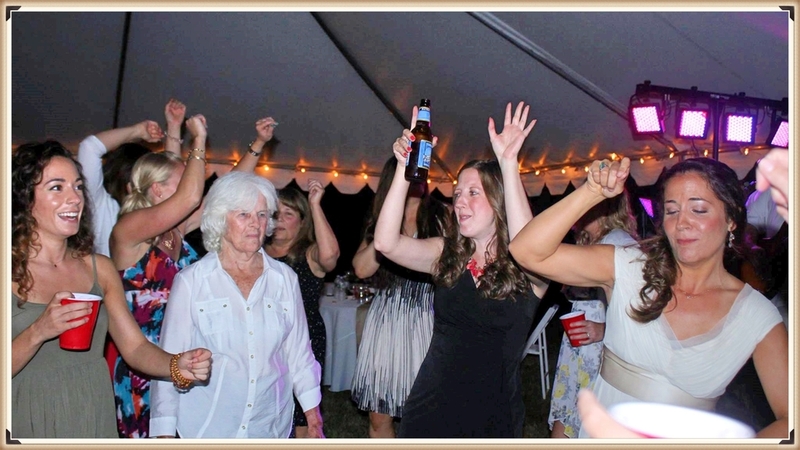 When our wedding day came, The Freeze Pops had the dance floor packed all night! There was plenty of variety in the songs, which appealed to all of our guests, young and old. My husband plays the guitar for enjoyment and he actually got up with them and performed for our guests, to me that was one of the best parts of my night. Seeing the expression on each and every one of our family and friends face was priceless. We can't thank them enough, and I promise you won't regret choosing The Freeze Pops for your event! The freeze pops put on an amazing show!!! 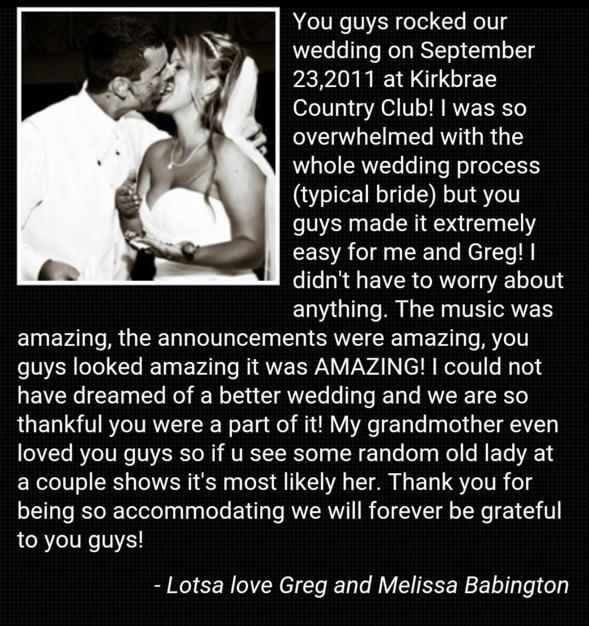 I recommend them to all of my friends and family and they have done quite a few weddings and graduation parties for us!! They are great musicians and make sure everyone has fun!